Slip-purrs are 100-percent leather, non-slip, soft-soled shoes available in various styles for girls and boys. 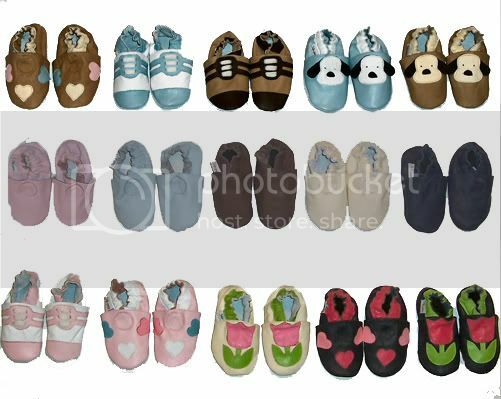 They are available in newborn-6 month, 6-12 month, 12-18 month and 18-24 month sizes. These machine-washable shoes are available in a variety of styles shown below. Slip-purrs are comparable to brand-name soft-soled shoes at a fraction of the cost. Buy one pair for $15 or two pairs for $25. 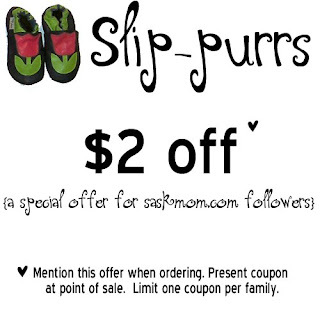 Click the coupon on this page and print for $2 off your next Slip-purrs order. Contact Lisa by e-mail or call her at 227-5492 to place your order.